Where & when to see the the great migration depends entirely on rainfall. Luckily, the wildebeest are on a continuous journey following the rains creating endless opportunities to see to this stunning natural event. In addition to coordinating with nature’s schedule, the right time to travel should based on what YOU want to see! Witness the beautifully emotional calving season! Or watch the herds make the cross through the mighty Mara River. To encounter the best wildlife viewing opportunities of the migration, plan your safari during the months of January through March. During this time of year you can count on capturing breathtaking photos of the largest migratory herds in the world. Various wildlife harmoniously graze among the sweet green grasses in the southern region of the Serengeti. 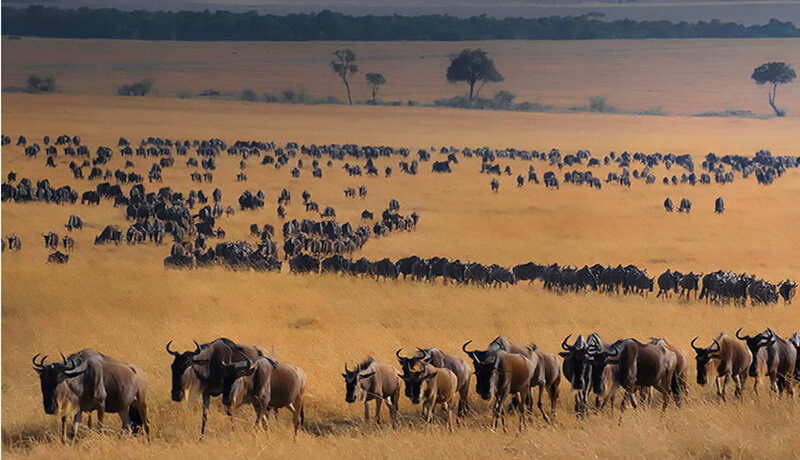 Wildebeests, zebras, and gazelles peacefully migrate together along this route. Alternatively you can view the herds in masses in the northern regions of the Serengeti as they prepare to cross the Mara River between July and August. Likewise, there is premium wildlife viewing in the Maasai Mara once the herds have crossed between the months of August to October. Once the rains begin, the herds head to the southern plains of the Serengeti to start the calving season near Ngorongoro Crater and the Ndutu area. In order to see this part of the wildebeest migration, plan to travel in late January to February. It is then you can experience the birth of nearly 8,000 wildebeest babies each day. Other animals participating in this birthing season includes zebras, elephants, gazelles, giraffes, cheetahs and even lions. Without a doubt, witnessing a newborn wildebeest taking its’ first wobbly steps is a photographer and animal lovers dream. Yet across the plains from these emotional moments are a trailing presence of hungry predators who have a family of their own to take care of. 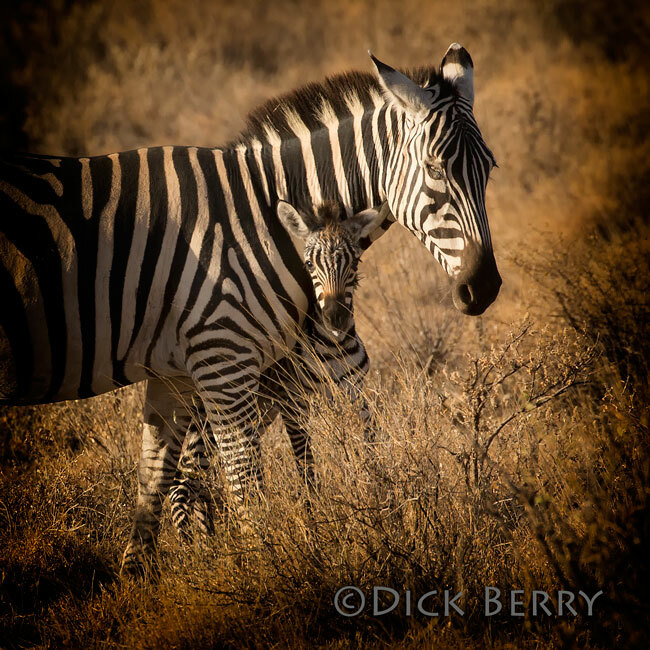 Above all, instinct and nature reigns supreme in Africa… especially at times like this. Therefore making this point in the migration particularly remarkable and certainly bucket-list worthy! In the hopes for an intense, action-packed adventure safari, the dramatic Mara River crossing may be right for you! If so, plan to travel between the months of August and October near the Tanzania & Kenya border. 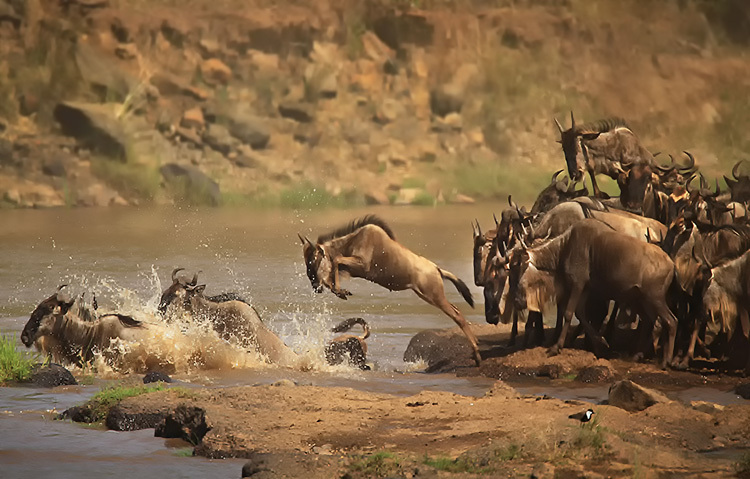 The wildebeest who seek fresher grasses in the Maasai Mara must cross the Mara river in order to reach it. 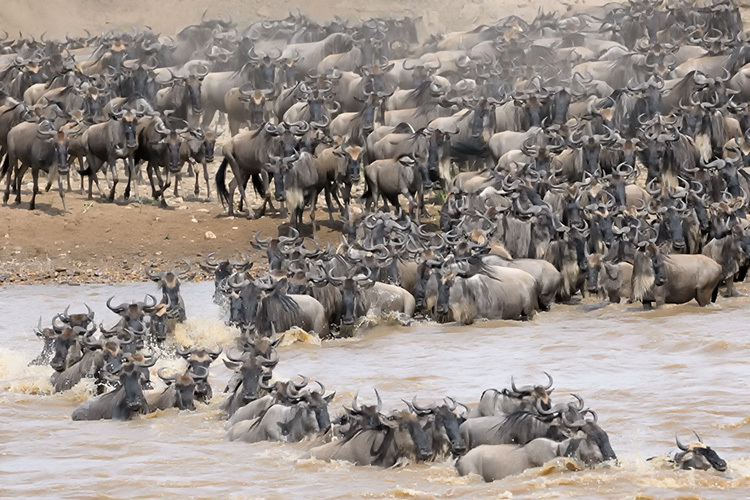 Once the first wildebeest takes the dangerous plunge, the rest of the herds immediately follow and the chaos begins. Meanwhile the fast flowing waters and patient crocodiles make this crossing extremely hazardous. Because of this many will not make it. However, those who risk it all and survive will graciously celebrate on the other side with weeks of grazing. Eventually, they will make their way south to the Serengeti again. The Wildebeest Migration is a powerful act of nature that is determined by somewhat predictable migratory patterns but mostly by rainfall. Therefore, increase your exposure to the migration by planning to be in the right places at the right times. *Most importantly, plan with careful consideration of current and future rainfall predictions. Use our Migration Route Map & the Month by Month Guide to find out where and when to see the wildebeest migration. Check out our detailed version of the Wildebeest Migration Map in Google maps! Plan like an expert! Pinpoint the PERFECT time to travel with these Helpful Tips on the Best Times to Visit East Africa!